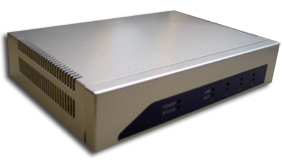 Do you want to own, manage, and operate your own network at either the base station side or at the client side? We have the vital tools. The pfSense is the most widely used open source firewall with full features of network security, server load balancer, multi-Wan, Captive portal, and more. By adopting the open platform software and COTS hardware, Teletronics systems shall bring service provider or enterprise customers to achieve overall system cost reduction and ensure the long term open community support and availability. The firewall system is preloaded with pfSense 2.0. It is simple and reliable, allowing network operators to quickly and easily to upgrade the network security without changing the existing network infrastructure.